This is a story that happens after the “happily ever after”. Snow White has long been married to her Prince Charming, and they have a daughter. This story begins when Princess Raven is busy planning her wedding. Snow White is feeling quite overwhelmed, being the sole regent in her realm after her husband has passed away. After a particularly harrowing day in the throne room, Snow White escapes to the solitude of a rarely visited room in her castle. This particular room belonged to her step-mother many years ago. It’s here Snow White stumbles upon the Magic Mirror. The mirror then reveals the reflections of queen Snow White. She is absorbed in the many things the mirror reveals to her. There are many demons in her past, but facing her past may help Snow White come to terms with her present – and her future. Often when I read indie authors I find many errors in spelling, grammar and sentence structure. This book was a pleasant deviation from that stress. The writing read smoothly, and I was not distracted by any jarring editorial errors. I really enjoy a well written novel. 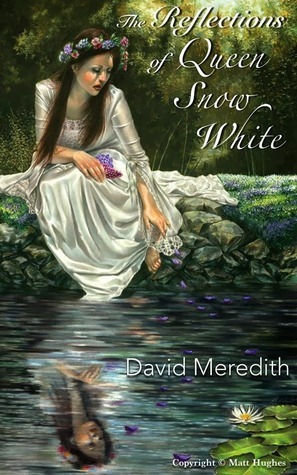 I will be interested to read more from David Meredith in the future! I definitely enjoyed it as an adult. I didn’t get the “teen fiction” vibe from the novel. Though I’m sure there are teens out there who would enjoy it too!